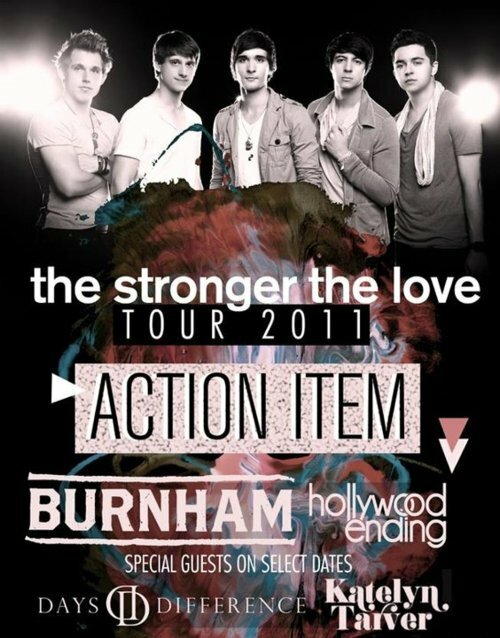 Action Item will be headlining The Stronger The Love tour. Openers will be Burnham and Hollywood Ending for the full tour. On select dates, special guests include: Days Difference, Katelyn Tarver, Megan & Liz, and The After Party.